Johnson and Son Bikeworks has been selling Jamis bicycles for seven years. We chose Jamis as a partner after comparing with other bike manufacturers. 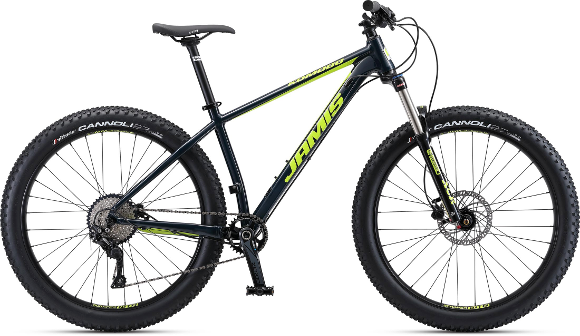 We chose Jamis for the value of their bikes based on quality and price. 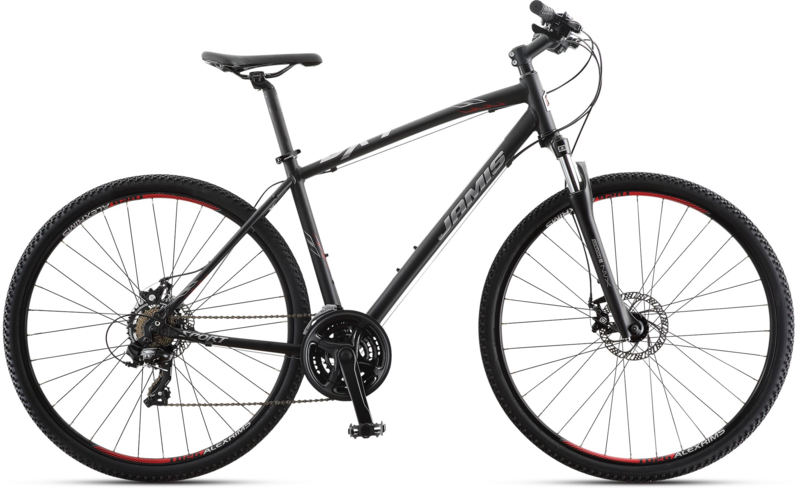 Find out more about Jamis and current manufacturer’s suggested retail price (MSRP) prices at JamisBikes.com. Note that our sales price is always below MSRP, call for in store prices. Some models we maintain stock in every size, some models we do not. We also stock some Raliegh bicycles and have access to other brands including Surley, Burley trailers, Dahon, All City, and Salsa. If you’re interested in learning more about what we have in stock, please call ahead and find out what’s here! This bike is for a rider who wants a good quality full suspension mountain bike for less than $2000. Full suspension gives you more control at higher speeds. Tubeless ready tires and rims. When you purchase a Dakar A2 from us we will include a Vermont Mountain Bike Association (VMBA) membership for free ($50 value). The Komodo plus series bikes are designed for single-track mountain bike trails. Their wide 3” tire has a much bigger volume than standard mountain tires. This volume allows you to run at lower tires pressures which dramatically smooths the ride as well as increasing traction. Stronger frame and upgraded components compared to entry level mountain bikes. $600-$1000 depending on model year/sale price. Same as Highjack A2 but with 29” wheels. These are entry level mountain bikes. They are good for people who want to be able to ride on mountain bike trails, but also may use them for short rides on a rail trail or with the family. These bikes work well as our main mountain bike rental fleet. These are the same as the Trail X/Helix bikes except they have larger (29”) wheel diameters. The larger wheels roll over obstacles easier, but can be a little less nimble. A great choice for those who expect to ride 50% on dirt roads and 50% on trails. Same as Citizen 1 except a 7 speed instead of 21 speed. Less expensive, simpler, but not as suitable for larger hills/carrying larger loads. The Citizen 1 is an all purpose, comfortable bicycle. This one is for casual riding around town, rail trail, and dirt roads. A lighter/sportier Citizen at the same price. The go to bike for errands, transportation. Slightly narrower tire than Citizen. Jamis calls it a fitness bike. Same bike as the Allegro, but with a step-over body design. Rider is leaned forward (more aerodynamic). A steel version of the Allegro so slightly heavier. Some prefer steel over aluminum for less vibration on the ride; however, I don’t think it is an issue on bikes with these wider tire widths/lower tire pressures. 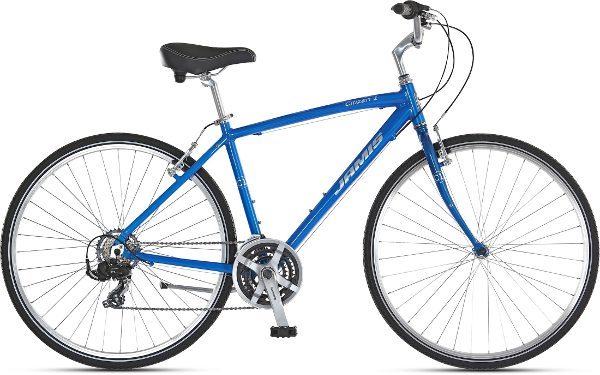 Same bike as the Coda, but with a step-over body design. A steel version of the Allegro sport. So similar to the Allegro sport in all ways except slightly heavier. I usually sell these bikes to people who like a decent quality steel frame and are commuting/ using the bike everyday. These are the old “ten speed” road bike that are made stronger to handle rougher dirt and gravel surfaces in addition to pavement. People like them because they really do open up a new world of places to go, away from traffic. Another good choice for an alternative to car use. The Renegade series falls into the “adventure/gravel” bike category. These bikes are generally for cyclists who ride 10+ miles at a go on pavement and back roads. Their rugged construction and ability to run wider tires makes them a choice for commuting, touring and exploring dirt roads/trails. For riders who want one bike for single-track riding as well as rail-trail/back roads. It falls into the entry level category for frame and components. A good choice for casual riders who want access to mountain bike trails. 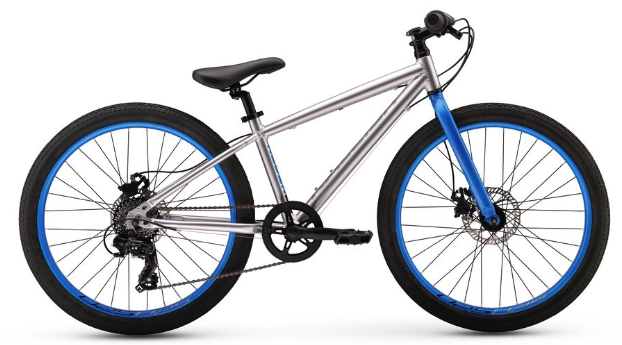 The Redux 24 is a great all purpose bike for 9-12 year olds. Starting in 2019, Johnson and Son Bikeworks will rent any new bike in the shop. 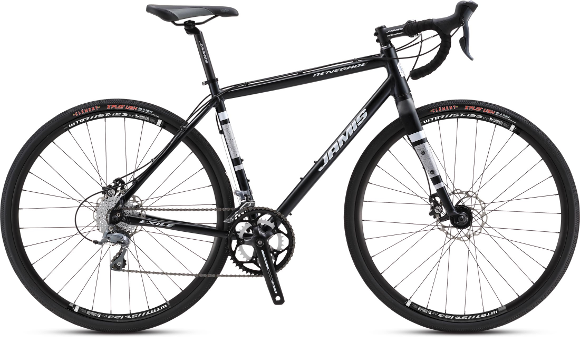 You can try out a new bike before deciding to make a purchase. Need help finding the right bike?